Remove two Damage Counters from Venusaur LV. X, remove three if the move Rainy Day is active. 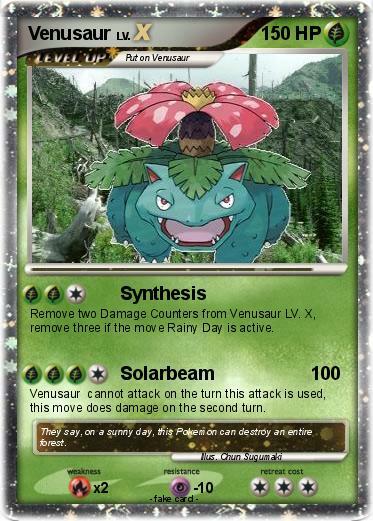 Venusaur cannot attack on the turn this attack is used, this move does damage on the second turn. Comments : They say, on a sunny day, this Pokemon can destroy an entire forest.